Premier preparation maker, Hugh Courtney will take participants through the process for making all nine of the biodynamic preparations. Participants learn how to distinguish good preparations and how & when to stir and apply them. 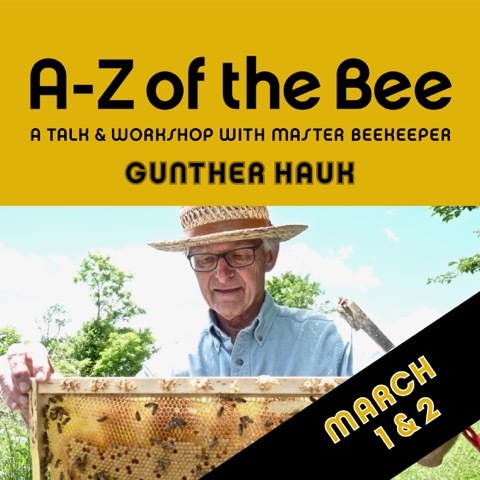 Lectures and discussions include where and how to obtain materials, use of the biodynamic calendar, additional ways to use the preparations, Homeopathy for the Family Farm, and BD Compost Making. This workshop is limited to 15 participants, so register early. Participants will experience hands-on making biodynamic preparations Yarrow, Stinging Nettle and Silica by premier preparation maker, Hugh Courtney. 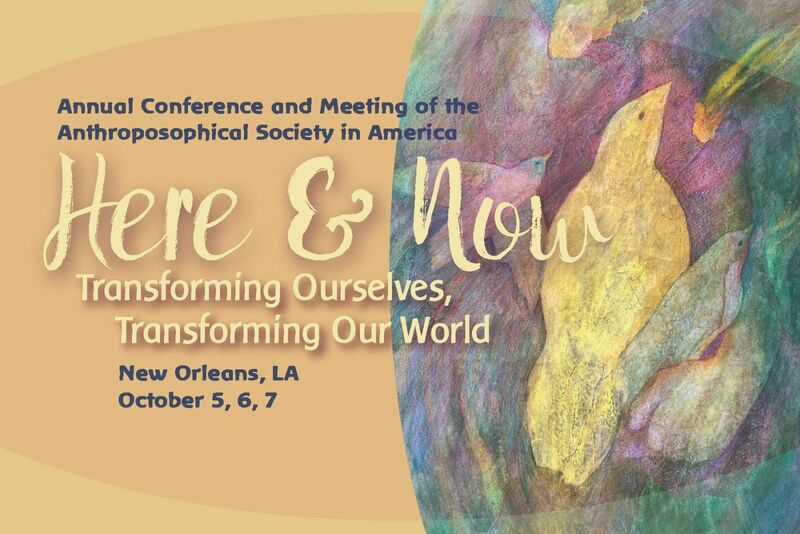 Registration/Tickets: $150 includes lunch and limited lodging as available. Register by June 1 with 50% deposit. Space limited. This is an annual event and all are welcome especially to the Biodynamic booth. The biodynamic preparation barrel compost (BC) donated by the Chesapeake BioDynamic Network will be on sale (price $5 for one unit which covers up to an acre) from biodynamic gardener Carol St.John as a fundraiser for Acorn Hill. At 12 noon there will be gardening and preparation of the garden beds by turning over winter ground cover and spraying biodynamic preparation #500 horn manure and biodynamic barrel compost. We will then plant peas. Join us October 26th through the 28th for hands-on instruction in Biodynamic Preparation making! 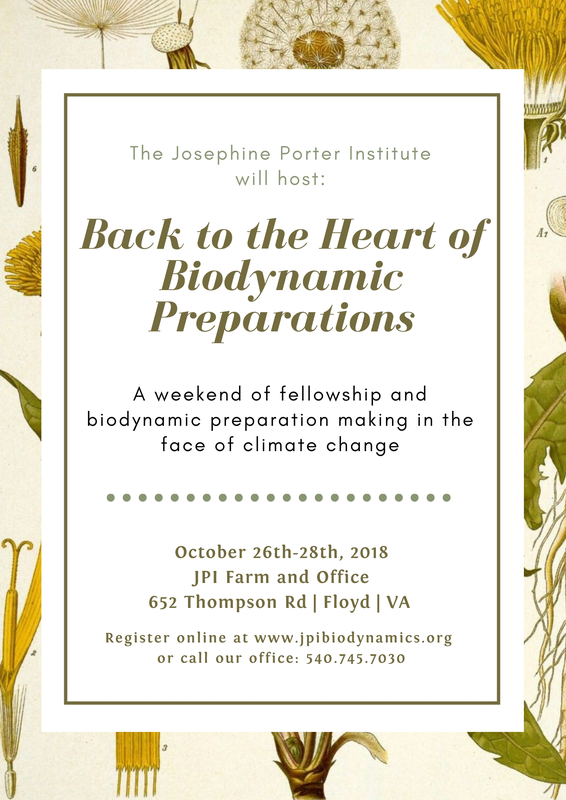 Participants will help make 4 of the 9 biodynamic preparations and learn how to use these to enhance the quality and quantity of life in your garden and/or farm. You will work with experienced biodynamic practitioners and the staff at JPI to collect and create these soil-enlivening therapies.